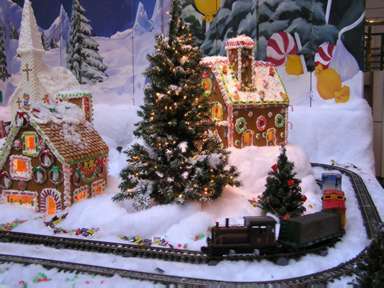 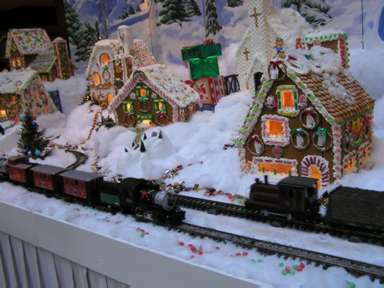 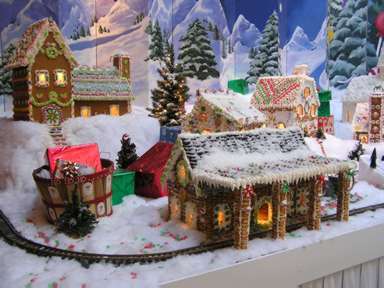 This model train layout is located in the lounge of the Reston Hyatt Hotel and is crafted each year by the hotel pastry chef. 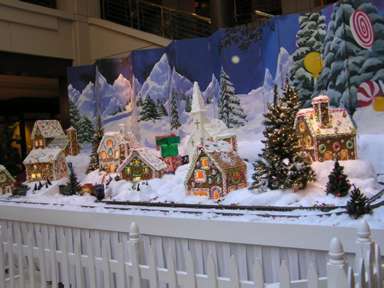 The buildings are lighted from within. 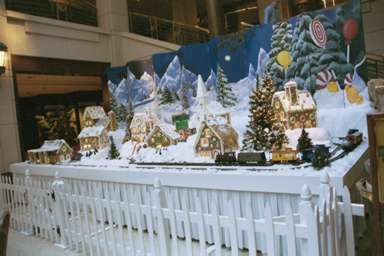 The building on the right is a train station.